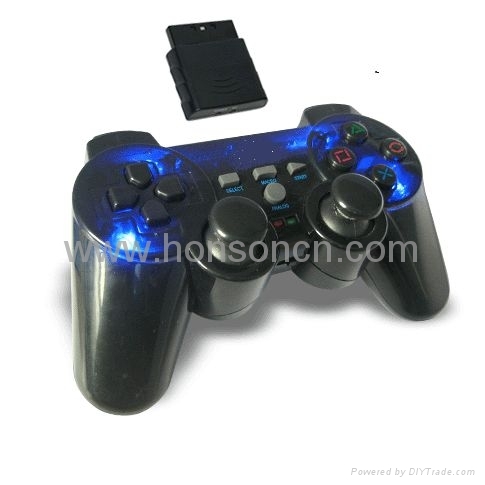 1.PS2 connector, plug and play. 3.4 axis and 12 buttons. 4.Double motors with vibraton function. 5.With high efficiency lithium battery and turbo program function. 6.2.4G wireless technique, availbe over 10m range. 7.Support both digital and anolog mode and with mode light. 8.Ergonomic shape for comfortable during play, different color available.